I try to share my experiences as a writer (the good, the not-so-good, and the extremely humbling). Anyone interested in getting published would be wise to read her blog and gain from her experience which she generously shares here. In this post Judy highlights her struggles to get her novel published. I admire her persistence and there’s much truth to the saying: Those who get published are those who don’t give up. Of course you have to have a good book. But that’s not a problem with The Hanged Man’s Noose for it’s a fun, suspenseful and smart novel. There’s an old adage: Patience is a virtue. Unfortunately, it’s never been one of mine, though I have learned that it’s a necessity for writers seeking traditional publication. But in the early days, when I was armed with no more than a big dream and a bad first draft, I didn’t know that. I honestly believed it would be easy—especially since I’d developed a decent reputation as a freelance writer and editor. After all, my10+ years of experience in the field had to count for something, right? After meeting a “dream agent” at Bloody Words in Toronto in 2012, I was convinced she would offer me a contract when my book was finished. I submitted it to her, at her request, in February 2013. Not only did the rejection hurt, I was pretty much shattered. But after some serious feeling sorry for myself time, I dusted off my bruised ego and tried again. Using QueryTracker to zone in on my best bet for success, by late fall 2013 I had queried roughly 30 agents, with better than average results. 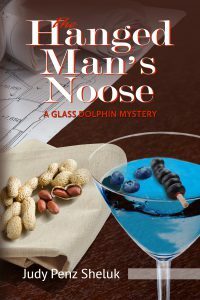 I’d netted a few partial requests (the first so many chapters or pages), which in turn led to three full manuscript requests, and one offer to write a cozy mystery under the name of another author. One agent wrote to say she was swamped and it would be several months to a full year before she even had a chance to read my manuscript. The other two agents ultimately rejected it, albeit kindly. They loved my writing, they said, and my premise, but the story had two protagonists, and too many points of view. I’d already heard much the same from other agents who’d reviewed and rejected my partial submissions. As stubborn as I am (and anyone who knows me will tell you I’m very stubborn), it was time to accept the inevitable: a complete rewrite. One protagonist, one sidekick. I spent the remainder of 2013 consulting with a professional editor, and then rewriting the story, start to finish. As much as I hated to let go of my two-protagonist, multiple POV premise, I had to admit the story was much stronger without it. I’d also given up on finding an agent. The process was too slow (I’d already invested a year) and too one-sided. It was time to find a publisher who would accept unagented submissions. Enter Barking Rain Press, a small press publisher based out of Vancouver, Washington, that came highly recommended by my fellow Sisters in Crime Guppies (which stands for the Great Unpublished). [https://sincguppies.wildapricot.org]. I submitted the first three chapters during their “open” period in February 2014, received a request for the full manuscript in April, and waited. Did I mention patience is a virtue? Small-town secrets and subterfuge lead to murder in a tale of high-stakes real estate wrangling gone amok. Journalist Emily Garland lands a plum assignment as the editor of a niche magazine based in Lount’s Landing, a small town named after a colorful Canadian traitor. As she interviews the local business owners for the magazine, Emily quickly learns that many people are unhappy with real estate mogul Garrett Stonehaven’s plans to convert an old schoolhouse into a mega-box store. At the top of that list is Arabella Carpenter, the outspoken owner of the Glass Dolphin antiques shop, who will do just about anything to preserve the integrity of the town’s historic Main Street. Putting her reporting skills to the ultimate test, Emily teams up with Arabella to discover the truth behind Stonehaven’s latest scheme—before the murderer strikes again. This entry was posted in How I Got Published and tagged Barking Rain Press, dream agent, Judy Penz Sheluk, QueryTracker, Sisters in Crime Guppies, The Hanged Man's Noose. Bookmark the permalink. Your story is one I can relate to. This is often a looong process, and when you add up the years spent writing then querying, our books may not see the light of day until a few years later. But as you’ve shown, persistence and hard work often pay off. Your book sounds wonderful. Congrats! Thank you CarrIe, I’m glad you could relate to my story. I hope you have a chance to read Noose. Thanks Carrie. Persistence is definitely one of the tools every writer needs. There is that old adage, the harder I work, the luckier I get. That is so true. Thanks! I hope you have a chance to read Noose and I would welcome your comments. I drank some champagne that day! Thanks for letting me share my story Carol. I welcome any questions and all new readers! These insights are really helpful. No doubt about it, patience and perseverance are the key. Thanks for sharing, both. Thanks Margot. I was such a pie-eyed optimist when I started — which I think is another necessary quality for writers (if we don’t believe in ourselves, who will) — but no question, the two “p’s” are essential! Thanks Luanne! If you’re an eBook reader, Barking Rain Press (publisher) has The Hanged Man’s Noose on sale on Kindle/Kobo/Nook/GooglePlay/iTunes until Jan. 15th. Thank you so much Luanne! I look forward to hearing from you. I have a contact page on my website (don’t like to give out email online). I hope you enjoy it! Thanks for the kind words Janet. I hope you let me know how you enjoy my book! Will do, Judy – I am in the middle of a couple of other books at the present, but will definitely let you know after I read yours. Have a lovely weekend. Janet. Judy, your story is one of so many ups and downs and shows the hardships along the publishing route. So many rewrites, so much patience and recovery from the knocks. You give some brilliant advice and hints, I’m going to read this again and then go and visit your blog. Brilliant about your acceptance by Barking Rain Press and I wish you best of luck with your book. Thank you for sharing Judy’s publishing journey here, Carol. So interesting to learn about her journey! Thanks so much Christy for taking the time to read my post. Great story, though I did have to giggle at the one-submittal-sure-that’s-all-I-needed dream. And–“big dream bad first draft”–another keeper. Thanks for sharing, Judy. Thanks for this. Am in the middle of a very painful re-write, in year three on this project. It’s good to read that this takes a long time for others, too. Congratulations on getting your book published! And thanks again for your story. Cheers to you and the Guppies. Rewriting is usually painful, J.B. because we end up deleting huge chunks of what we once thought was brilliant! Even after the publishing contract, there are revisions. In my case, my manuscript was considered very clean, but there was one chapter I just loved — it has multiple POVs and I thought it was quite brilliant. They strongly suggested that I delete it and rewrite it from one POV. That stung, but I didn’t argue, I just did it. And it turned out they were right — it was a lot stronger without the multiple POVs. But it was still painful. That took courage, and a leap of faith. Glad it paid off. I hope you enjoy the book. It’s getting good reviews, but of course, reading is so subjective. I’d love to hear your comments once you’ve read it. Of course I’ll review when I read it. 🙂 I know the drill, lol.